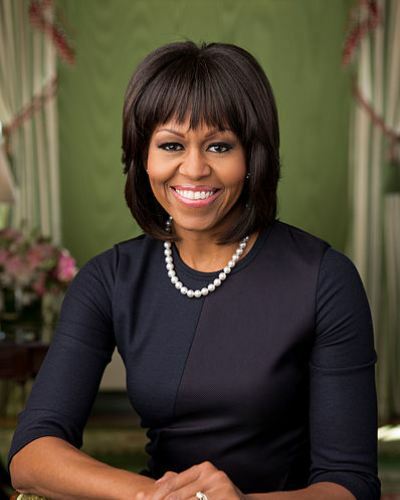 We are convinced US First Lady Michelle Obama is one of the coolest women in the world after she showed off her slam dunking skills in the White House. US First Lady Michelle Obama proved she is anything but boring when she shot a video with 2013 NBA champions Miami Heat basketball players for her “Let’s Move” campaign. The campaign aims to end childhood obesity in the United States of America. 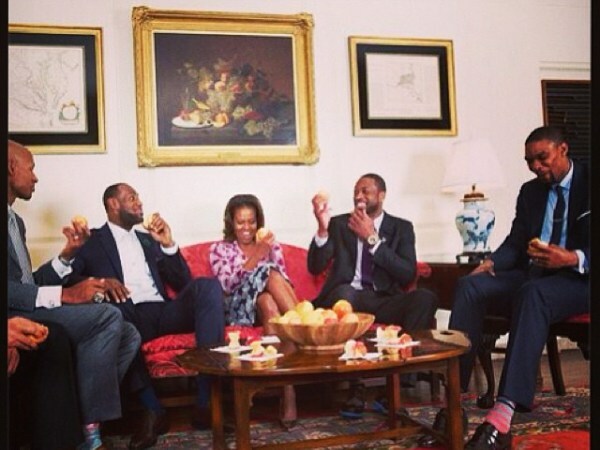 The video shows an interview with two Miami Heat players and shows Michelle videobombing them in the White House. The players talk about how eating healthy can improve your performance as an athlete. While the players are talking, Michelle goes behind them and loudly munches on an apple then comes out of nowhere to make a slam dunk with basketball player LeBron James holding a mini basketball net for her.